Posted on : March 27, 2017, By: Tom Kokonowski, Esq. Gun control laws in Massachusetts are strict. It is against the law to possess or carry a firearm without a permit. This includes possession of an unloaded firearm in your home. In either case, you face charges and up to two years in jail. If you face charges of illegal gun possession, here are some potential defenses. One of the most common defenses against illegal gun possession charges is unlawful search and seizure. To search your person or property, including your vehicle or home, law enforcement officers must have probable cause or a warrant. Probable cause is enough indication that a crime was committed. Therefore, this allows officers to lawfully conduct a search. However, if no probable cause existed and the police searched and seized your firearm, there is hope. 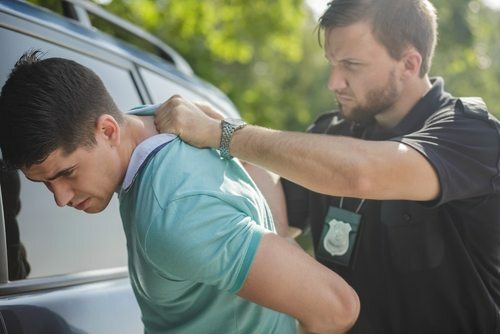 Your attorney may get the charges dismissed based on unlawful search and seizure. Much like the case with drug possession, there’s constructive possession and actual possession of a firearm. Law enforcement must be able to prove that you had control over the firearm. For example, if police found a firearm in your vehicle’s glove compartment, legally it is considered in your possession. However, if police found the firearm in your roommate’s bedroom, it can be argued that it was not in your possession. Additionally, you had no knowledge of the firearm being there, since it wasn’t your room. Many people who lawfully own firearms in Massachusetts are arrested for unlawful ownership because they cannot immediately produce their permit. In these cases, dropping the charges may be as simple as securing a copy of the existing permit and providing it to the officer or prosecutor. Any time you are charged with a crime, especially one like unlawful gun possession with incarceration on the line, contact an experienced criminal defense attorney as soon as possible. At the Law Offices of Thomas Kokonowski, Esq., we have the skills and resources to help you protect your rights and your record under the law. Call now for a consultation to discuss your case at (413) 585-9200 or (413) 549-0022.